UPDATE: Liberal frontbenchers Simon Birmingham and Christopher Pyne have backed the process that delivered politicians a minimum $4000 pay rise from next week, with Senator Birmingham insisting their salaries were kept “well and truly in check”. Australian politicians have been handed a two per cent pay rise from next Saturday on top of their current $199,040 base salary. On top of that, they will get a tax cut as the 2 per cent budget repair levy is also due to be removed on July 1. In justifying the decision the tribunal said it had received submissions calling for salaries more in line with the private sector. “Over the past year there has been a notable increase in submissions to the Tribunal seeking higher remuneration for offices and individual office holders based at least in part on private sector remuneration,” the statement said. Mr Pyne said politicians have nothing to do with determining salaries and they’re not in it for the money. Senator Birmingham said the pay rise came after the minimum wage was bumped up. “It is an independent process and it was a two per cent pay rise this year, after a pay-freeze that the independent process determined last year. And of course just recently, the minimum pay rise for minimum wage was handed down at 3.3 per cent,” he told Channel Seven. While he acknowledged parliamentarians were well remunerated Senator Birmingham said they were not there for the money. “I think you can see the processes working to keep politicians’ salaries well and truly in check, there was a freeze, there’s a lower than the minimum wage as people would think it should be,” Senator Birmingham said. Federal politicians, judges and top public servants will enjoy pay rises of up to $12,000 a year from next week, pushing backbench MPs’ base pay above $200,000 for the first time. At a time of record low wage growth and rising government debt, the Remuneration Tribunal awarded a 2 per cent pay rise to all senior public office holders yesterday, following another 2 per cent pay rise in January last year. The latest rise was necessary “to attract and retain” people of “calibre”, the tribunal said, pointing out that minimum wage workers would receive a 3.3 per cent pay rise ($22.20 a week) from next month and public sector wages had increased 2.4 per cent over the year to March. The boost means backbenchers’ pay, excluding allowances, will rise by just under $4000 to $203,020. The Prime Minister will get a $10,350 pay rise to $527,854; the High Court chief justice’s base pay will rise $11,461 to $584,511. “There has been a notable ­increase in submissions to the tribunal seeking higher remun­eration for offices and individual office holders based at least in part on private sector remuneration,” the tribunal said. It suggested the era of “economic restraint” that saw pay rise deferrals in 2014 and 2015 was over. Falling private sector wage growth, which earlier this week prompted Reserve Bank governor Philip Lowe to invite workers to ask for a rise, rose 1.9 per cent over the year to March. The Human Rights Commission president’s pay will rise to $423,650. Greens leader Richard Di ­Natale said “people have had a gutful”. “At a time when income inequality is out of control and wages are going nowhere, politicians get a pay rise,” he said. Cabinet ministers, currently paid a base salary of $343,344, will get nearly $7000 extra and will now be paid $350,210 a year. Heads of the 18 government ­departments in Canberra, who earn up to $861,700 a year, will enjoy pay rises of between $9500 and $12,063, the latter going to the secretary of the Department of Prime Minister and Cabinet. The tribunal said public office holders were making financial sacrifices. “Office holders serve for the public good (and) many of these office holders do not expect or require that monetary compensation be set at private sector levels,” the tribunal said. The pay increase will occur as the government’s 2 per cent budget repair levy on top-rate taxpayers end. “This represents an increase of 1.6 per cent per annum over the 18 months since the last general increase” effective from January 2016, the statement said, noting increases were not granted in 2014 and 2015. MPs also receive a non-taxable $276 allowance for every night of the 18 weeks a year they are in Canberra. “This decision is a slap in the face for the thousands of commonwealth public sector workers whose wages have been frozen for well over three years as they’ve been stuck fighting for their basic workplace rights and conditions,” said Community and Public Sector Union national secretary Nadine Flood. The 170,000 federal public servants have not had a general pay rise since the Coalition was elected in 2013 and have been locked in a battle over renewal of enterprise agreements. Staff at the Defence Department on Wednesday became the second major department to agree to an enterprise deal which will bring a 6 per cent increase over the next 18 months. Staff at the Australian Taxation Office and at the Department of Prime Minister and Cabinet are voting on the pay deal today. “This decision will certainly give frontline public sector workers the impression that there’s one set of rules for them and quite another for those at the top,’’ Ms Flood said. Public Service Commissioner John Lloyd said Ms Flood’s comments were “misleading”. “The main reason for the delay in employees receiving a pay increase is the CPSU’s persistent campaign opposing salary increases that have been on offer for 3 years for most of the employees. The increases offered have been for an average 2% a year over a 3 year term,” he told The Australian. BLAIR MP Shayne Neumann has encouraged Ipswich employers to give people over 50 a chance to get back into the workforce. “There’s no question that over 50s face challenges when trying to get back into work,” he said. “Family pressures and age discrimination can all make it tough for those trying to hold down a job, particularly if they’re re-entering the workforce after a while out. “With an ageing population, it’s never been more important to ensure older Australians are able to get into the workforce.. The MP encouraged Ipswich business owners to employ people over 50. “Having over 50s engaged in the workforce is not only good for employers; it’s good for Ipswich as a whole,” he said. “They can contribute unparalleled skills, bring a life time of experiences, and help mentor and train younger workers. One in two hiring managers have witnessed age discrimination in their organisations’ recruitment processes, according to research released today. The Robert Walters whitepaper, based on a survey of more than 930 hiring managers and 1,500 professionals in Australia and New Zealand, shows many professionals also reported experiencing age discrimination during their careers. Some 74 per cent of Baby Boomers said they had been discriminated against in a job interview because of their age, followed by 36 per cent of Gen X workers and 34 per cent of Gen Y workers, the research found. And on top of the 50 per cent of hiring managers who had seen age discrimination in their organisation’s recruitment, 58 per cent said they had seen colleagues overlooked for career progression because of their age. Gen Y claim to be the most hard done by in this area, with 84 per cent claiming they were discriminated against, followed by 54 per cent of Baby Boomers and 33 per cent of Gen X. The whitepaper blames unconscious bias, saying an example of this is the disconnect between the different age groups’ stated work preferences, and how hiring managers view them. Another study, conducted by University of South Australia academics, found nearly a third of people had experienced some form of age-related discrimination while employed or looking for work in the past 12 months, according to researcher Justine Irving. Irving told HR Daily that while studying retirement intentions, the researchers found significant evidence of ageism, which was “so salient that we thought, ‘we can’t ignore this'”. In their resulting survey of 2,100 people aged 45 years and over, the researchers found many believed they had been on the receiving end of negative assumptions regarding their skills, learning abilities or cognition. “There was a perception of older workers that because they were a certain age they would struggle to pick up new work systems, particularly technological-based systems,” Irving says. There was also an assumption they would take longer to learn new things, and work more slowly, she says. Negative generalisations about employees’ work capacity as they get older is “quite systemic”, she adds, noting ageism isn’t specific to the workforce. “It actually crosses all different levels of society, so I think that in the workplace, you just see it because it’s something that affects people’s ability to maintain and retain work. The researchers also found participants experienced limited opportunities for training and promotion, Irving says. Participants reported that when they were asked to act in management or supervisor roles, they were often not considered for the position permanently – “they were always looked at as temporary or stop gaps, rather than actually being considered as somebody appropriate for that role into the future”. Another finding was that when people decided to change careers or move state, for example, and had long work histories, higher education levels, and extensive experience and qualifications, they would suddenly “hit a wall” in their careers. “So they would put their applications in, everything would go along swimmingly, until they got to the interview stage, and they said that they would see the [recruiters’] faces change once they saw them, and they put that down to their age,” Irving says. To ensure age discrimination doesn’t occur in the workplace, HR professionals must first identify whether employees have conscious, or unconscious, age-related assumptions, Irving says. “Some people don’t think they have ageist attitudes, but if they looked at the way they judged a particular applicant or looked at their own policies, or their recruitment break up, perhaps they might see there are patterns emerging,” she says. Educating and training managers to “rebut age-related negative assumptions and generalisations”, and having policies that encourage diversity and inclusion in the workforce, can also help, she adds. Robert Walters recommends employers help managers and employees identify unconscious bias and factor this into their decision-making. Eighty-nine-year-old lands a job after claiming he was at risk of “dying from boredom”: Should your business do more to find older workers? Employers have been encouraged to consider older job candidates, after an 89-year-old man in the UK who claimed he was “dying from boredom” successfully found a job. The Guardian reports Joe Bartley, an elderly resident of Devon, England, posted a job advert in the local newspaper last month seeking 20 hours of work a week. “Senior citizen 89 seeks employment in Paignton area. 20hrs+ per week. Still able to clean, light gardening, DIY and anything. I have references. Old soldier, airborne forces. Save me from dying of boredom!” Bartley wrote. Just two days after The Guardian’s article, Bartley received two offers of part-time work and has accepted a hospitality role with a local family-run café. The café’s owner Sarah Martin told the Guardian, “no matter what your age or your background, you deserve a chance”. “A lot of people who come here don’t just come for coffee, they come for a chat, so Joe is perfect,” Martin told The Guardian. Bartley also received a job offer from a bakery in a nearby town, but reportedly turned it down, as he could not easily travel to the business. Psychologist Eve Ash believes businesses everywhere should consider hiring older workers, saying many of them a “defying expectations”. “We typically don’t associate working with older people, we typically associate them with sitting around and taking it easy,” Ash says. Ash believes a whole new workforce exists in people over the age of 70, with older workers having “a different type of determination and stamina”. Ash’s own father still works as a land surveyor at the age of 92, with no plans to retire until he hits 100. Some concessions do need to be made when considering older workers, Ash says, as “40 hour, nine to five jobs” are generally not suitable. “At any age over 70 there are certain things need to be tested, like driving skills. Older workers are also more suited to shorter weeks and irregular working hours,” Ash says. Ash says more evidence is needed to see exactly what sort of jobs are suitable for older workers, but firmly believes they are more likely to “have the time and the care to do things”. “We might discover they have amazing positive mood characteristics, and in the workplace, this is extremely important,” she says. It was not reported how many hours Bartley would be working at the café, but on Sundays, he will catch a lift with his boss to work, while catching the bus the rest of the time. “We think about these things all the time. We are never going to be rich, but we like to give something back, so when we saw the advert there was no question – the minute we saw it we knew we’d give him a job,” Martin told The Guardian. A Hazelwood worker has labelled tax rules that stop him from qualifying for a genuine redundancy as unjust, and is calling for the rule to be reviewed. 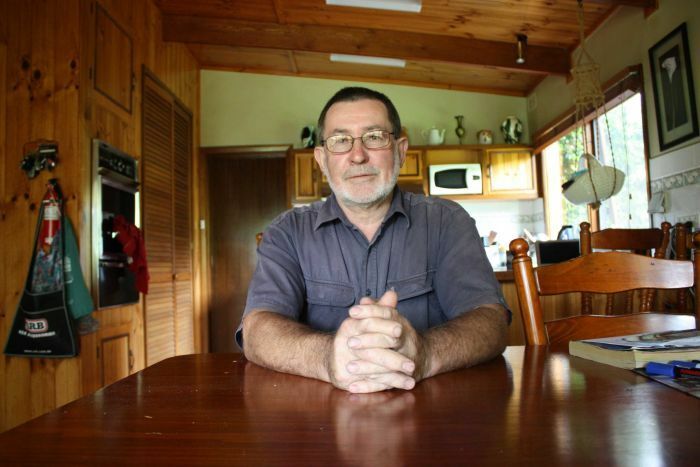 Denis Clough, 66, will not qualify for what the Australian Tax Office (ATO) classifies as a genuine redundancy when the Hazelwood power station shuts its doors in March, because of his age. Workers who receive a genuine redundancy do not pay tax on part of their termination payment, but payments to workers over the preservation age of 65 years — the age from which a person can access their superannuation — are called employment termination packages (ETP) and do not have the same tax benefits. Mr Clough has worked in the industry all his life, and started work at Hazelwood 36 years ago. He described the moment a colleague pointed out he would pay about $80,000 of his nearly $330,000 pay-out in tax as “shocking”. Mr Clough said although the smaller payout would not put his plans of being a self-funded retiree at risk, he was angry he was being treated differently because of his age. “I would have retired in a couple of years and basically ended up with the same money I’ll get by going a couple of years earlier, but I would have preferred to go to work a few more years,” Mr Clough said. “It’s really just the principle. It’s as if the ATO is being made redundant, not me. “I’m one of the lucky ones that I could have retired anyway, but there’s people, I don’t know what they’re going to do for a job, how they’re going to pay their debts. “My real complaint is I just think this is morally wrong, that what they’re doing taxing this as an employment termination package. 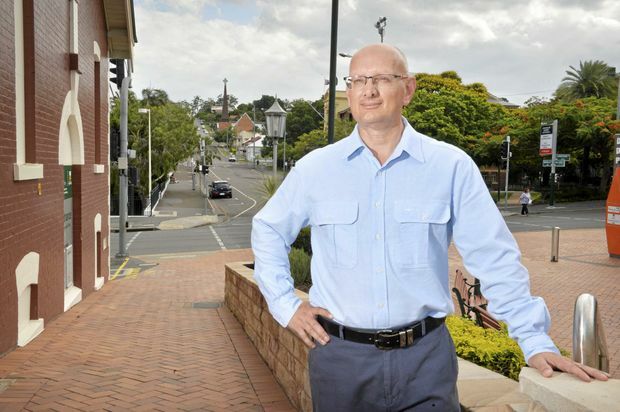 Financial planner Ben Lancaster has backed Mr Clough’s call for change. Mr Lancaster said with Australians working longer, it may be time to reconsider the age cut-off. “It does seem unfair in terms of being over 65, all of a sudden the whole amounts to an ETP,” he said. Mr Lancaster said there would be more over-65 redundancies as people continued to work later in life. “The age pension age is lifting, so people will work past 65 to reach the age pension,” he said. It is almost second nature to create stereotypes of people based on age. If someone is in their twenties then they must be technologically adept, obsessed with keeping fit, prepared to change jobs frequently whilst obviously searching for meaningful work. Those in their sixties and seventies must be less interested in work and are probably exhausted and anticipating the leisure time offered by a long retirement. These are seductive and easy to understand behavioural labels. But are these assumptions either real or helpful? Might they obscure even more important similarities? We believe this is a crucial question to ask right now as working lives – shaped by technological innovations and extended by growing longevity – are undergoing profound transformations. To understand how people are responding to this transformation in their working lives, we developed a survey completed by more than 10,000 people from across the world aged 24 to 80. We found far fewer differences between the age groups than we might have imagined. In fact, many of the traits and desires commonly attributed to younger people are shared by the whole workforce. Why might this be the case? One reason is that we are simply living longer. This means we’re also working longer, and working differently. For our recent book The 100 Year Life we calculated how long people will work. Whilst we cannot be precise, it is clear that in order to finance retirement many people currently in their fifties will work into their seventies; whilst those in their twenties could well be working into their eighties. That means that inevitably people of very different ages are increasingly working together. This long working life, coupled with profound technological changes, dismantles the traditional three-stage life of full-time education, full-time work, and full-time retirement. In its place is coming – for all employees regardless of their age – a multi-stage life that blends education, exploration, and learning, as well as corporate jobs, freelance gigs, and time spent out of the workforce. Inevitably the variety of these stages and their possible sequencing will result in both greater variety within age cohorts, whilst also providing opportunities for different ages to engage in similar activities. In other words, work activities will become increasingly “age agnostic” and these age stereotypes will look increasingly outdated. Right now people of every age are becoming increasingly aware of the transformation of their working life. They are reinvesting in their skills, looking after their health and thinking about options, transitions and career switches that weren’t a reality for previous generations. Viewed in this light, there is less discontinuity between different ages – and instead a shared, and growing interest in the tools to cope with a longer working life in an age of profound technological disruption. Our survey highlighted these commonalities. While there may be some selection bias — the 10,000 people who completed our survey online are already interested in the topic of life and work changes — their experiences and attitudes highlight how misleading simple age related stereotypes can be. Consider six fairly common age-based assumptions: the young invest most in new skills, they are most positive and excited about their work, and they work hardest to keep fit; the old are more exhausted, keen to slow down, and less likely to explore. The people in our study overturned these stereotypes. It is not just the young who are investing in new skills. We asked people whether they felt their skills and knowledge had plateaued, and whether they had recently made an investment in their skills. After the age of 30 many people are concerned about plateauing skills. Indeed there is no difference between those in their 30s, 40s or 60s – almost two-thirds worried that their skills and knowledge were not keeping up with changing work demands. What is fascinating is how many people were countering this by actively investing in their skills. Certainly a higher proportion of those aged 18-30 (91%) and 31-45 (72%) felt they were investing in new skills but after the age of 45 almost 60% of all ages said they were actively investing. In other words, the majority of people keep maintaining skills and this does not significantly decline with age. It is not just the young who are positive and excited by their work. This is a crucial attitude as working lives elongate. If indeed being positive and excited about work declines sharply with age, then long working lives will become a terrible burden for the older. What was striking was that whatever their age, those feeling positive about their work was a constant at just over 50%. Just as striking is the proportion of people of all ages who don’t feel positive about their work. Older people are working harder to keep fit. We know that vitality is central to a long productive life and it is easy to imagine that it’s only the young who really care about their fitness. Yet we discovered that it is the older who are working hardest to try to keep fit. About half of those under 45 actively try to keep fit, rising continuously across the ages with a peak of 71% for those aged over 70. Older people are not more exhausted. One of the reasons corporations often prefer the young to the old is the assumption that with age comes exhaustion at work and therefore a lowering of productivity. We found no evidence of this age related exhaustion. In fact, more people under the age of 45 (43%) said they were exhausted than those over 45 (35%) – the least exhausted are those over 60. Older people don’t want to slow down. The stereotype is that as people age they want to slow down and are looking forward to retiring. We found this not to be the case. More than half of those aged 46 to 60 want to slow down, whilst only 39% of the people over 60 and less than 20% of the people over 70 say they want to slow down. Exploring is not just for the young. When you think about “gap years” you probably think about 20-year-olds taking time out after full-time education. But why assume that it is only the young who want to take time out to explore and learn more about themselves and their world? Crucially, we found no significant age difference in people’s excitement about exploring their options. The six assumptions we have explored here are probably just aspects of a much bigger tapestry of assumptions about the young and old that are spurious, wrong, even damaging. We use the word damaging with care. When corporations believe that older workers invest less in their knowledge, are less excited by their work and exploring their world, and are on a path to physical decline and exhaustion, they make the wrong decisions about whom to select, promote and develop, and whom to retire. There are undoubtedly some differences across the age groups that are important in the workplace. However, the over-simplicity of age and generational labels decreases our understanding of individuality; it masks the commonality of the task we are all facing as we strive to achieve a productive and enriching longer working career; and is in deep conflict with the imperative to develop age-agnostic working practices. As every one of us is faced with living and working longer it is absolutely crucial that, whatever our age, we face up to and question unfounded assumptions and stereotypes about ourselves and about others. Only then can we create workplaces where people are accepted for themselves. Lynda Gratton is Professor of Management Practice at the London Business School where she teaches an elective on the Future of Work and directs an executive program on Human Resource Strategy. Lynda is a fellow of the World Economic Forum, is ranked by Business Thinkers in the top 15 in the world, and was named the best teacher at London Business School in 2015. Her most recent book is The 100 Year Life: Living and Working in an Age of Longevity, co-authored with Andrew Scott. Andrew Scott is Professor of Economics at London Business School and a Fellow of All Souls College, Oxford University and the Centre for Economic Policy Research. He has served as an advisor on macroeconomics to a range of governments and central banks and was Non-Executive Director on the UK’s Financial Services Authority. He is the co-author, with Linda Scott, of The 100-Year Life: Living and working in an age of longevity. If you are over 40 and thinking that your ability to focus and remember facts is deteriorating, your work could actually be to blame. Recent research by the Melbourne Institute of Applied Economic and Social Research found that, whilst working up to 30 hours a week is good for cognitive function in the over 40s, any more than that causes performance to deteriorate. In fact, those who worked 55 hours a week or more showed worse cognitive impairment than those who were retired or unemployed and didn’t work at all. The study looked at 3500 women and 3000 men aged 40 and over, and made them complete cognitive function tests whilst their performance at work was monitored. Their ability to read words aloud, recite lists of numbers and match letters and numbers in speed trials was monitored throughout the test, known as the Household Income and Labour Dynamics in Australia survey (Hilda). The author of the test, Professor Colin McKenzie, said that both ‘thinking’ and ‘knowing’ were important indicators. Reading tests is the ‘knowing’ part of ability, whilst ‘thinking’ captures memory, abstract and executive reasoning. Whilst some intellectual stimulation is thought to be good to retain cognitive function in later life, with brain puzzles such as Sudoku and crosswords credited with sustaining brain power in older people, excessive stimulation works the other way. Professor McKenzie told The Times that many countries are aiming to raise the retirement age, forcing people to work for longer as they will be unable to claim benefits until later. He believes that the degree of work may have an important bearing on this. The degree of intellectual stimulation may depend on working hours. Work can be a double edged sword, in that it can stimulate brain activity, but at the same time working long hours can cause fatigue and stress, which potentially damage cognitive functions. He believes that part time work may be beneficial in retaining brain function in middle aged and older people. Should those who can afford to do so reduce their hours, then? And is the type of work you do a factor? You would think that a job you love which is less stressful would be less damaging on your stress and fatigue levels. The Hilda survey doesn’t look at the type of work and how that affects results, so this is something to bear in mind. Professor McKenzie reasons, “It’s very difficult to identify the causal effects of the type of work on cognitive functions. People may be selected into certain occupations according to their cognitive abilities.” Certainly, high stress factor jobs with long hours in competitive, demanding fields will play havoc with a person’s health in general. A balance seems to be needed, then, especially as the government are planning to bring in full time work requirements until that age of 67. What do you think? Do you feel that a reduction in hours would be beneficial? 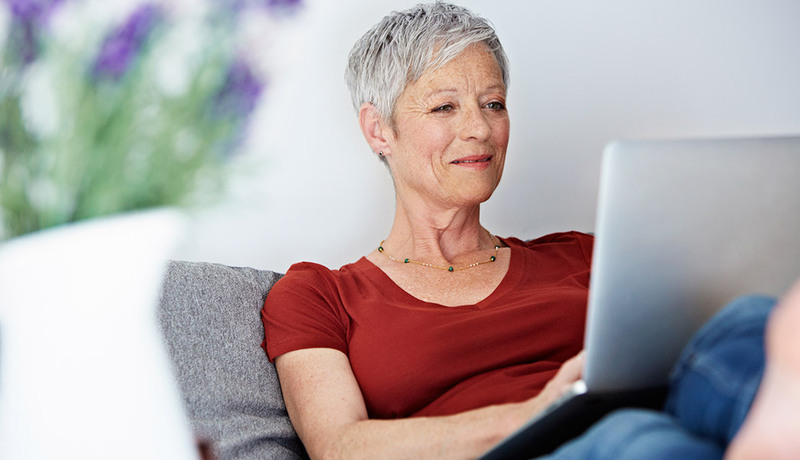 72 per cent Aussie grandparents couldn’t imagine life without the internet. Australian grandparents are now swapping their ‘knitting’ for ‘internetting’, with the explosion of smart devices and increased access to fast broadband taking over all aspects of their lives. 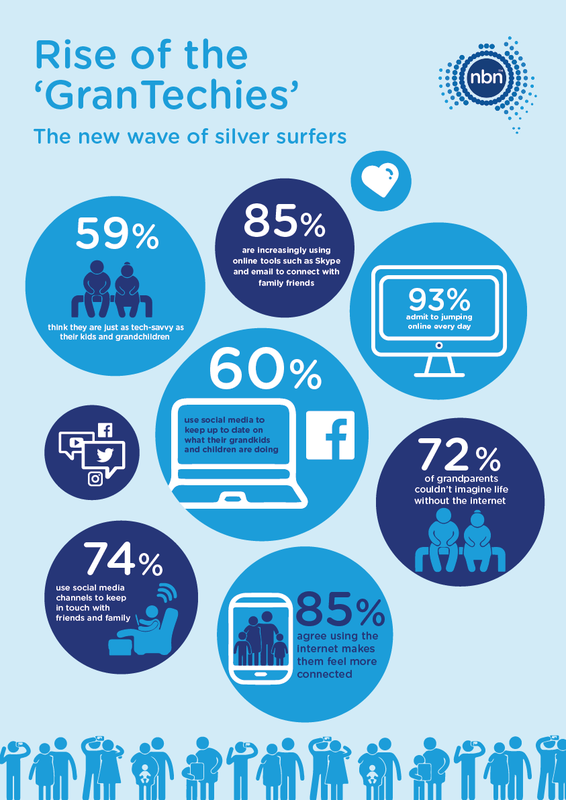 According to a new research report commissioned by nbn, the majority of tech-savvy grandparents, or ‘GranTechies’, now couldn’t imagine their life without the internet. In fact, more than 90 per cent now admit to jumping online every day. The key findings of the nbn™ GranTechies Report reveal that Aussie grandparents are now using access to fast broadband for tasks including staying in touch with family and friends via email and Skype, online shopping and downloading or streaming video content. The report also found that grandparents believe themselves to be as tech-savvy as their children and grandchildren, with 59 per cent saying that they are just as internet-smart as their younger counterparts. 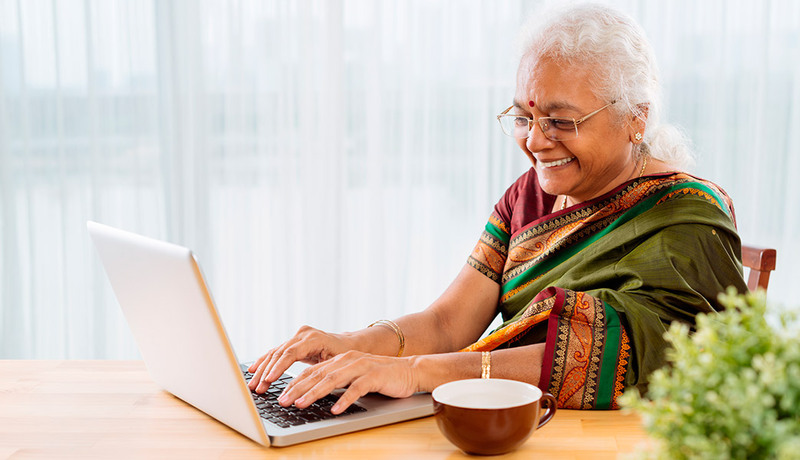 Perhaps more importantly, the nbn™ GranTechies Report discovered that using the internet makes Australian seniors feel more educated and purposeful, as well as feeling more connected and less lonely. This demographic believe it’s important that they upskill and stay up-to-date with tech trends, with more than half saying that they are eager to learn more through online tutorials and with the help of family and friends. When it comes to online communication, it is Millennial men who are leading the charge when it comes to staying in touch with the older generation via social media. Forty four per cent in this demographic say they connect with their grandparents using outlets such as Facebook, Twitter and Instagram. According to Nan Bosler, President of the Australian Seniors Computer Clubs Association, “Gone are the days where we thought of grandparents as tech dinosaurs – this research shows senior Australians are well and truly riding the tech wave”. 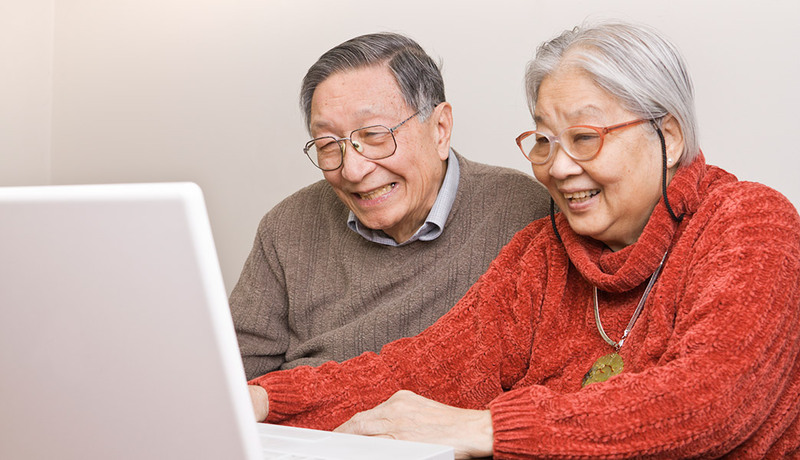 Based on Sydney’s Northern Beaches, Nan helps other seniors to learn to use the internet, welcoming anyone over the age of 55 but working mainly with people in their late 70s and right up to their 90s. “The most popular activity is keeping in touch with family and friends,” explains Nan. Nan herself has been using computers for many years, initially making the most of technology to upload and publish local history books. “When the internet arrived it was a new vehicle to upload information about local and Australian history. It was too good to miss because it brings the whole world to your fingertips,” she explains. Disagreeing with the idea that seniors find it hard to learn new things, Nan explains, “When you’re trying something new you’re going to be hesitant and worried about making a fool of yourself. Nan also uses the internet to stay mentally active, having enrolled in an online university course. “You don’t have to travel; you can just enrol and get started”. While seniors do have to be aware of the dangers of using the internet, Nan would like to see more of her age group using it confidently. “It’s fabulous for keeping up with the grandkids. Although some of them need to remember to mind their p’s and q’s once Grandma is on social media!” she says. Nan has been pleased to see that with widespread access to fast broadband via the nbn™ network, the ‘GranTechie’ demographic has been able to move beyond using the internet to simply keep in touch with family and friends and has progressed to becoming a community of more advanced online users that is able to show the younger folk a thing or two. If your grandparents are eagre to get into the tech game, but aren’t sure how, here are some tips of helping them get started. Newstart or an old starter? A MATE of mine who rightly describes himself as a grumpy old man told me a great grumpy old man joke the other day. It involved a man in his late 50s, recently retrenched, who had typed up a CV for the first time in decades and was being interviewed by a 20-something HR woman at a job placement firm about his qualities as an employee. “Do you think that you have any weaknesses?” she asked, routinely. “I don’t think honesty is a weakness,” she said. “I don’t give a f–k what you think,” he replied. Many a true word is said in jest. I like this joke because it goes to the heart of the perception that older workers — or in this bloke’s case, non-workers — are irascible and stuck in their ways. 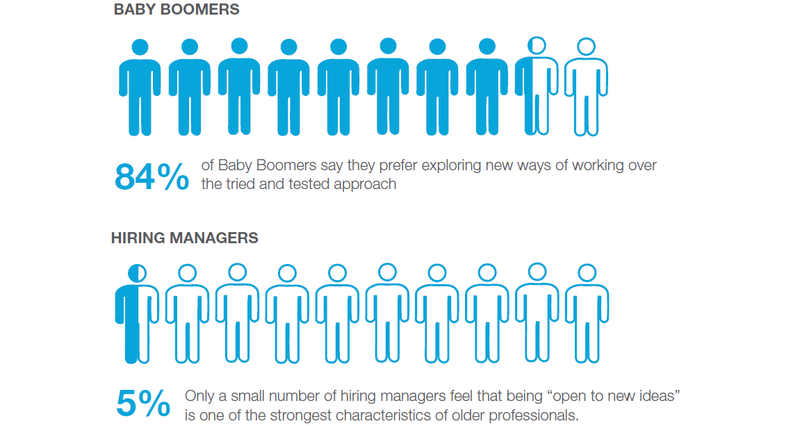 Also, older workers are seen as providing limited return on investment, to use that cliched management term. Why bother hiring a crotchety know-it-all who might give you a decade of productivity, when you could stump for a bright young thing to shape in your image, and hopefully hold on to for years? Our economy is at a crossroads, shifting from its reliance on manu-facturing and mining to the new service and data-driven industries. There has never been a more exciting time to be an Australian, our Prime Minister says. For many people, most of them men aged in their 50s and early 60s, there has never been a more unnerving time to be an Australian — because so many people being squeezed out of jobs are older men. Men who, if sacked, will never work again. The figures are borne out by the depressing statistic that anyone who is retrenched over the age of 55 will spend at least twice as long on the dole as a person under that age. And a 2014 study by the National Seniors Productive Ageing Centre revealed that 96 per cent of people aged 55 to 59 who were retrenched wound up retiring, even though many were desperate to work again. So much of the discussion around unemployment has focused on the young. There have been calls to raise the Newstart allowance from $264 a week to $317, a $53-a-week increase that would cost the Budget $7.7 billion. It’s been pushed by the Australian Council of Social Service and the Australian Industry Group fearing the current rate is so low that people cannot present themselves properly or travel to look for jobs. I have no way of knowing whether the public agrees with the ACOSS and AIG position. My hunch is that many would be suspicious of the proposed rise, fearing that young people who could be rightly described as bludgers would treat it as their personal payday. The public view would be different, however, if you asked people to compare the indolent 20-somethings who had never looked for work in his life, and the middle-aged man who had done nothing but work, and who found out last Monday his company was shifting operations to Beijing or Bangalore. The Federal Government’s logic in denying calls for a Newstart increase is that it risks turning the welfare safety net into a hammock. I agree with that view for younger workers with no dependants, and no interest in working. I am not sure if it is fair for older people who have mortgages, debts, children — and a burning desire to work again. The Federal Government’s logic in denying calls for a Newstart increase is that it risks turning the welfare safety net into a hammock. I am not suggesting that every unemployed young person doesn’t want to work. There are some suburbs in Australia where the old blue-collar jobs have gone forever. But there are plenty of younger people who would not work in an iron lung. Surely the best way to get them off their behinds is with less carrot, and more stick. One of the more illuminating moments of my journalistic career came about 10 years ago when I was asked to go from editing newspapers to running a news website. You could not have found a team more adept to the digital age, be it writing HTML code, or generating new audiences via social media channels. Their only weakness, as purported journalists, was that many of them didn’t know what The Dismissal was, how Harold Holt disappeared, or who the hell Harold Holt even was. We had replaced people who were walking encyclopedias with the Wikipedia generation. As a community, we do that every time we sort through the CVs on the basis of age, not to forget perceived grumpiness. Proposals to further lift the pension age have “terrified” some mature-aged jobseekers, who said they were already struggling to compete for work with candidates decades their junior. The Federal Government has flagged plans to reintroduce legislation to raise the pension age from the current 65 years and six months, to age 70, by 2035. But with the pressure on workers to stay in paid employment longer, some have called for bosses to reform their attitudes and find longer-term career paths for their employees. The National Willing to Work report, recently released by the Australian Human Rights Commission, exposed widespread discrimination against older workers, and the myths that they were “forgetful, inflexible”, and had trouble learning new skills. Last month former Human Rights Commissioner Susan Ryan told the National Press Club that attitudes must change because there were huge economic benefits in employing mature aged workers. “The business case for employing older workers is undeniable, yet only relatively few businesses are doing it,” Ms Ryan said. The report found one in 10 business have a maximum age above which they will not recruit — and the average age was 50. But it was not just private enterprise at fault, with the Council on the Ageing (COTA) claiming the Federal Government’s recruitment practices, which required candidates to disclose their age, only reinforced the problem. Employment discrimination against people with disability was “ongoing and systemic”. COTA ACT executive director Jenny Mobbs said older candidates were too often missing out on jobs. “The selection panels in the public service can be quite a young group of people, and they don’t want their mum or their dad walking in and taking over in the workforce,” Ms Mobbs said. “It’s a really complex issue, certainly one where the discrimination’s certainly there. “If a 35-year-old applies for a job, and a 60-year-old applies for the job, the 35-year-old, particularly in Canberra, will get the job. COTA ACT has been holding seminars for older workers trying to re-enter the workforce, including training on how to get interviews and how to compete with much younger candidates. Participant Tanya Astle said it was common for mature-aged jobseekers to be overwhelmed by the challenges of finding work. “There’s a lot of frustration in the group with not being able to get work … but what we’ve found in the group that it’s really good to get together to support each other and to vent,” Ms Astle said. Ms Astle has recently retrained, but admitted being daunted at the prospect of having to start a new career at her age. “Honestly, it is terrifying. Yes, for me it’s quite nerve-wracking,” she said. Former senior executive Gloria Loewe, 56, said she had lost track of the numbers of knock-backs she has had in trying to find work. “I stopped counting … it’s depressing if you start counting,” Ms Loewe said. And she echoed a similar sentiment of other mature aged workers: that working is about self satisfaction rather than ruthless ambition. “It’s not so much to make money, or have a position — I already did that,” Ms Loewe said. Key recommendations from the Human Rights Commission’s Willing to Work report included creating a Minister for Longevity, government targets for older worker recruitment, and better education to dispel myths and stereotypes about older employees.